A tragic ending to a Sunday afternoon spent at the water park in Kansas City, Kansas. 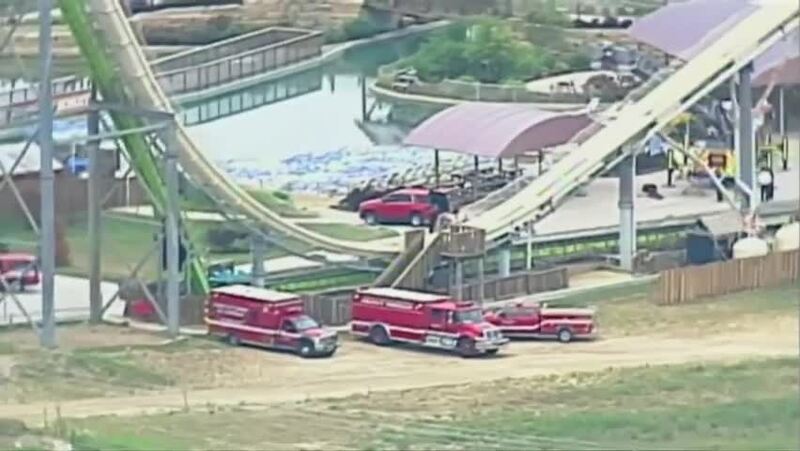 Officials are investigating the death of a young boy at what's considered by Guinness World Records to be the world's tallest water slide at the Schlitterbahn water park. Kansas police said the boy died while riding the Verrückt water slide towering 17 stories tall, where passengers strapped into a raft plummet in a near vertical descent. Verrückt means "insane" in German. The slide's opening in 2014 was postponed three times to ensure public safety, and riders are weighed to follow safety parameters. Park officials have offered their condolences to the family as the "apparent accident death" police investigation continues.